David Le/Gloucester Times. 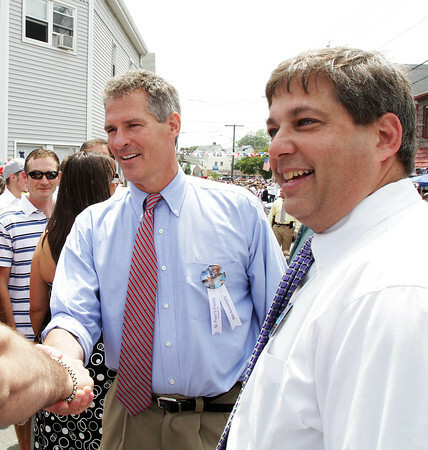 Massachusetts State Senator Scott Brown, left, and Senator Bruce Tarr, right, greet and talk with parade spectators on Sunday afternoon during the Fiesta Parade. 6/25/11.